Hot Lake Springs are the largest springs in the world. There are two or more spring orifices where 180° to 208° Fahrenheit mineral thermal water flows into the 8-acre pond at a rate about 3 million gallons per day. 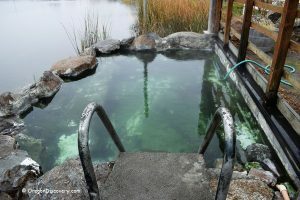 According to the State Department of Geology, there are several hot springs occur in a narrow northwest trending zone that extends from Hot Lake at the north to Union Junction which is about 3.5 miles southeast. There is a bathhouse between the lake and the Hot Lake Hotel as well as soaking tubs on the shore of the lake. The 200-degree Fahrenheit geothermal water is pumped into hot tubs from the artesian well. The facility does not have a day-use option. However, walk-ins bathing is available for $25/hour per person. Unlimited soaking is reserved for overnight guests. Before 1812, Hot Lake Springs of Eastern Oregon was used as a place to nurse the sick or injured people. Robert Stuart from the Wilson Price Hunt expedition discovered the steaming hot water in 1812. Between the 1840s and 1860s, the Hot Lake Springs became a popular destination for those traveling along the Oregon Trail. What started as a 'Town Under One Roof’ in 1864, developed into a grand three-story brick hotel with 105 rooms by the end of 1908. The healing properties of the hot springs prompted Dr. Phy to turn the third floor of the resort into a state-of-the-art medical facility known as the 'Hot Lake Sanitarium' or 'Mayo Clinic of the West’. The Hot Lake Springs became a very popular spot because of innovated techniques in medicine and new medical equipment, including X-ray. In 1931 Dr. Phy passed away and 3 years later a fire destroyed most of the Hot Lake's structures. Within the next 70 years, the Hot Lake Resort was the receiver of multiple grants and changed hands several times. Finally, in 2003 David and Lee Manuel purchased the property marking the beginning of a long restoration process. 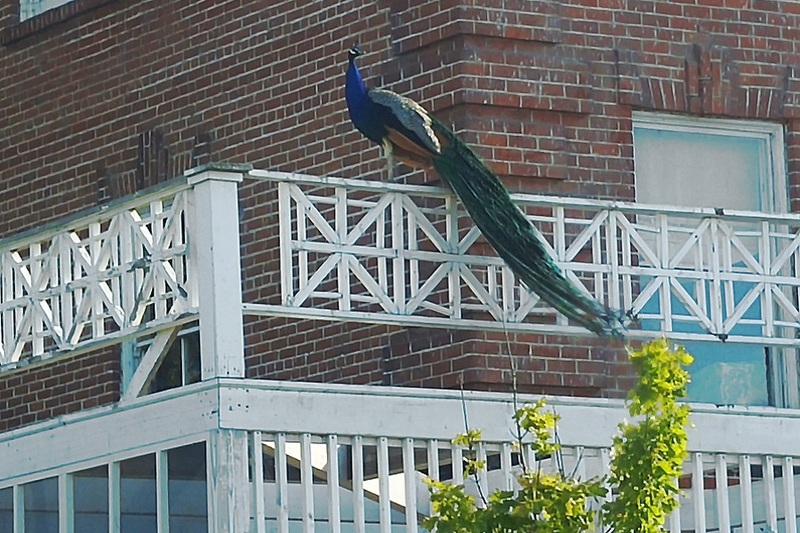 In 2010 Hot Lake Springs welcomed its first overnight guests. The main focus of the area is not to 'take in the waters’ but rather to enjoy the peaceful and tranquil atmosphere while absorbing the rich history of the region. Exploring the surroundings such as the Ladd Marsh State Wildlife Area is also an enjoyable activity. History buffs would be enthralled by the Native American artifacts on display in the exhibit space; in particular, the Nez Perce display. According to numerous ghost stories, the Hot Lake Hotel is a haunted property. In 2001, the American paranormal reality show on ABC Family reported the hotel as one of the "Scariest Places on the Earth". Is it true or not, but the ghost stories attract more visitors who are looking for thrilling paranormal adventures. In 1979 the Hot Lake Hotel was placed on the National Register of Historic Place. 268 miles east of Portland. The 3,200-acre Ladd Marsh Wildlife Area is preservation wildlife sanctuary provides habitat for breeding, nesting, and migrating birds. Turn right onto OR-203 and continue 5 miles on OR-302 South to the destination. State Department of Geology and Mineral Industries. "Hot Lake Geothermal Area, Union County, Oregon". 1968.